The Daily Transcript and Commercial Real Estate Alliance of San Diego present this year’s Deal Makers of the Year awards. Apartment values should double within the next five years, according to Fred Schnaubelt, former San Diego City Councilman and president of Fredrick Schnaubelt & Sons, an apartment investor. Some San Diego-area REITs are acquiring other REITs, while others continue to acquire assets from all over the country. An exciting new financing tool is now available to San Diego’s commercial and multifamily residential property owners. While it involves no public monies, this tool was inspired by local government -- specifically, the mayor and San Diego City Council. When Commercial Real Estate Women (CREW) San Diego was formed in 1983, the organization fulfilled the need of bringing women together to advance their roles in the industry. Now celebrating its 30th anniversary, CREW is still a great way for women -- and men -- in the commercial real estate industry to gain knowledge and support. While gloom and doom in the banking and real estate markets were capturing the lion’s share of media attention, the triumphs of Kennedy Funding steadily continued. During a period that saw many competitors close their doors, Kennedy Funding has reached the $2 billion mark in commercial real estate bridge loan closings — many of which were made to return clients — back for their second or third loan from the nation’s leading direct private lender. The $39 million investment in 13.5 acres in Torrey Hills and expected further investments in construction lends credence and confidence in San Diego as one of the nation's top apartment markets. NAIOP San Diego, the commercial real estate development association, will take its seven-year philanthropic relationship with the 1st Marine Special Operations Battalion based out of Camp Pendleton to a new level this year. The association is throwing a Suitcase Party, with proceeds going to the Marines Special Operations Command (MARSOC) Foundation. California, along with an increasing number of other states, has passed legislation mandating disclosure of energy performance for nonresidential buildings. These regulations require that building owners disclose either their building's Energy Star score or a similar metric to inform either another party or the market of its energy performance. Can your company operate without access to your electronic systems and data? What is the cost of low productivity, missed sales and lost confidential information when your data centers go down? A data center outage costs an organization an average of $5,000 per minute -- that's $300,000 in just an hour. The need to invest and focus on an organization's information technology infrastructure has never been more important and continues to gain the attention of executives across all industries. Critical environments need critical strategies. ACRE Investment Real Estate Services' aim is to build and foster long-term client relationships by providing an unsurpassed level of service. It is our belief that the manner in which we conduct our business plays a large role in doing so. We understand that each and every client is an individual and has different motivations, goals and expectations when it comes to their investment strategy. We pride ourselves in our ability to listen to our clients and have open discussions on how to realize that goal as a team, as well as provide them with all the information necessary in order to make the best and most informed decision. Accounting and financial reporting are central aspects of the commercial property management industry. In order to operate an efficient commercial asset and produce accurate financial records, accounting programs must be integrated with the core property management functions. The use of a comprehensive database that incorporates all of the commercial real estate processes is integral in ensuring the financial management of the commercial asset and aids in optimizing operations. Let’s assume you need a loan to purchase commercial real estate. Sometimes it’s better to rent instead of buy, but that is a wholly different issue (one I covered in an earlier article; if you missed it, just email me). Kilroy Realty Corporation has successfully operated in the vibrant West Coast commercial real estate markets for more than 65 years. Their success comes from continually improving their real estate enterprise to meet the changing needs of the most dynamic companies in the world. 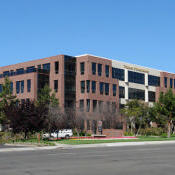 In an increasingly changing real estate environment, Sperry Van Ness Finest City Commercial is a local company with a national franchise presence that represents its clients and their property uniquely because no client’s goals are identical and marketing real estate is never a single strategy. No matter the product type, multifamily to hospitality or the marketing approach from auction to tradition sale. The Sperry Van Ness business model is based on proactive cooperation with a philosophy of “maximum competition equals maximum value,” both within the 156 office, 850-agent Sperry Van Ness International franchise network to 60,000 unaffiliated agents brokers nationwide. The Sperry Van Ness business model is based on proactive cooperation with a philosophy of “maximum competition equals maximum value.” The ethic of cooperation begins at our San Diego office and extends throughout the 156-office 830-agent Sperry Van Ness International franchise network and to 60,000 unaffiliated agents nationwide. San Diego is a great case study in how innovation and commercial real estate intersect. Thousands of real estate pros will descend on our city in May for the annual Urban Land Institute Spring Conference to get a close-up look at the innovative approach San Diego has taken to planning and development. Entitled “Innovate Real Estate,” the three-day conference will run May 15-17 and feature local and national speakers on a wide range of topics centered around the theme of innovation. Commercial real estate was not immune from the prolonged economic downturn that began in 2008, and over the last five years many commercial real estate practitioners retired, went into another profession, or lived on credit and savings in order to survive. While rents for office, industrial and retail properties are improving in some San Diego submarkets, they have a long way to go before returning to 2007 levels. Commercial Real Estate Alliance of San Diego (CRASD), a leading real estate association, offers professional development opportunities to commercial real estate brokers who strive to be the best in their industry.The mission of CRASD is to mirror on a local level the purpose of the National Association of Realtors (NAR), which is to enhance the ability and opportunity of its members to conduct their business successfully and ethically and to promote the preservation of the right to own, use and transfer real property. Grandbridge, a subsidiary of Branch Banking and Trust Company (BB&T), provides the vital link between complex market conditions, capital solutions and clients. As a national full-service leader in commercial and multifamily finance, we combine our wide range of capital sources with knowledgeable and experienced team members to deliver results. Amid the challenges and economic uncertainties globally, nationally and within San Diego County, many companies have remained on the sidelines or moved at a slower and guarded pace. However, Colliers International forged ahead in 2012 to meet, and often eclipse, the challenges presented by the recession with a persistent and enterprising spirit. 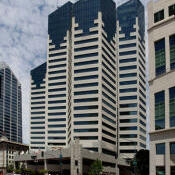 The San Diego industrial market ended the fourth quarter of 2012 with a vacancy rate of 9.4 percent. This slideshow depicts the top 10 sales in San Diego County in 2012, listed by tax value. The Daily Transcript posts Commercial Sales online and in print daily. All Commercial Sales are available in a fully searchable database at www.sddt.com/CommercialSales. This slideshow depicts the top 10 leases in San Diego County in 2012, listed by lease price. The Daily Transcript posts Leasing Notes online daily and publishes them twice weekly in print. All Leasing Notes are available in a fully searchable database format at www.sddt.com/LeasingNotes. The history of San Diego isn't contained solely in books or museums. In fact, an interesting lesson in one aspect of San Diego history -- its commercial real estate -- can be gleaned merely by driving through the city's sub-markets of Kearny Mesa, Miramar and Sorrento Mesa. And, if you ask Tim Hoag, a senior director of commercial investment property sales in the Golden Triangle office of Cushman & Wakefield, its bright future can be seen in Poway, Rancho Bernardo and along the Interstate 15 corridor. The 'new b' at BCL Inc.
With more than two decades of experience, Steve Bollert is hardly a newbie when it comes to commercial real estate. But he is the “new B” at BCL Inc., a 16-year-old company that owns and manages 1.2 million square feet of commercial space throughout Southern California and Arizona. Fresh out of the University of Colorado in 1984 with a bachelor's degree in finance and real estate and without any job prospects, David Santistevan sought the advice of a close friend. 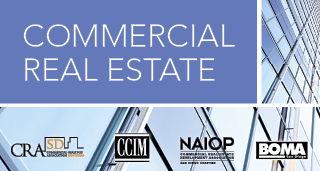 This annual special report covers the top issues and concerns facing today's commercial real estate industry, as well as projections for the coming year.